I’ve been pretty lucky this week after the end of the Para World Sailing Championships…. Normally we don’t get a great amount of time to explore the areas that we are sailing in, but here we’ve had an entire 5 days in between the 2 regattas!! 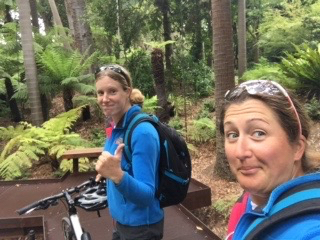 Exploring melbourne by bike has been a doddle! The bike tracks are epic, there are maps everywhere, and the drivers are really couteous, something that we’re not used to in the UK! So far we’ve visited the Shrine of Remembrance, the Botanical Gardens, many a shopping centre as well as the Yarra river front. 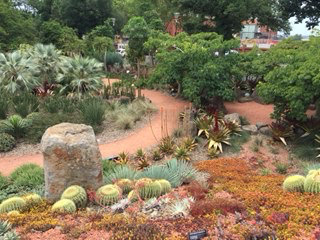 The Botanical Gardens were amazing, especially when you consider the city that surrounds them, and a bonus is that entry is free! As it was the weekend, there were people chilling out all over the place, picnics laid up, or just grabbing time with a book. Meg and I just trundled around taking in the scenery and just enjoying the time out in the fresh air. 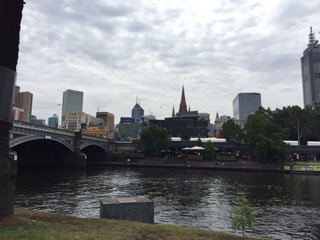 After a quick spot of lunch, we biked by the Shrine of Remembrance, and then back along the Yarra river route. What really struck me is just how awesome this city really is… there is just so much to see, to take in and to experience. It is different on so many levels, the contrast between new and old, contempory and traditional, it just makes it all that more incredible! Previous Post Try new things?